U.S. Senator Chris Murphy (D-CT) visited Wilbur Cross High School in New Haven, CT, on August 27, which is home to a school-based health center (SBHC) named “The Body Shop.” Murphy met with community members to seek input on the Mental Health Reform Act of 2015, a bill that he is cosponsoring with Senator Bill Cassidy (R-LA). “During my high school years I… dealt with obstacles from my home-life that made it very difficult for me to focus on school. It was both convenient and critical that I got my mental health needs met at school. It kept me coming to school and it helped me manage the feelings attached to the trauma I faced when I left school. In the last year [working at the SBHC], I recognized some of the same issues that I encountered growing up… students dealing with stress, depression, self-esteem, and identity issues… mental health services help students get through their teenage years in a healthy way. Senator Murphy received support and feedback for his proposed law. pediatrician consultation with mental health teams, a model that has seen great success in Massachusetts and Connecticut. The School-Based Health Alliance is working with the bill’s cosponsors to ensure SBHC providers are eligible for grant funding made available through these programs. 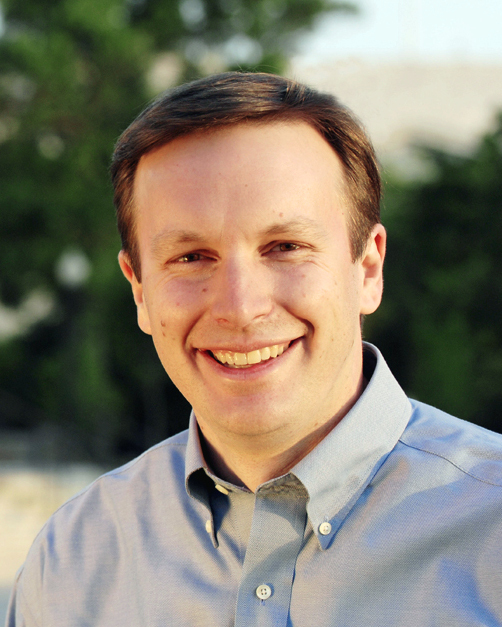 Our efforts got a big boost on August 7 at another of Senator Murphy’s Connecticut town hall meetings, several days after the Mental Health Reform Act of 2015 was introduced. SBHC advocate and Alliance Board Member Jesse White-Fresé reminded Senator Murphy about the critical role that SBHCs play in addressing mental health issues in children and adolescents and pressed him to make sure SBHCs are eligible for grant funding provided through the bill.